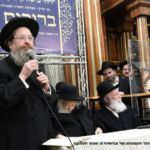 It was an extraordinary start for Agudath Israel of America’s 19th Annual Yarchei Kallah, with hundreds of people from all over the world participating in back to back events on Sunday, a prelude to the four day intense learning program that has significantly grown with every passing year. 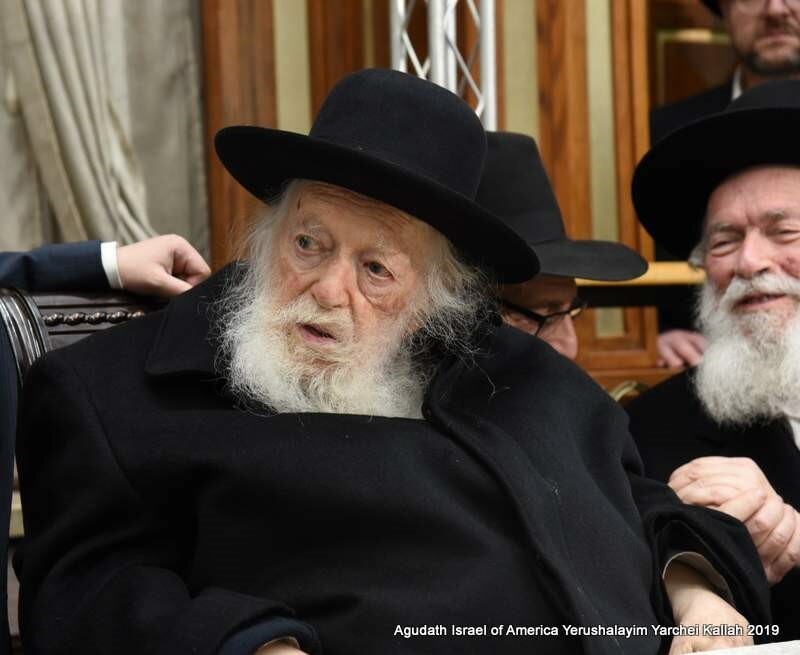 The Yerushalayim Yarchei Kallah, the Agudah’s Torah Projects Commission’s most eagerly anticipated annual event, began in 2001 under the guidance of Rav Aharon Leib Shteinman zt”l, who wanted to provide chizuk to those living in Eretz Yisroel during the intifada. 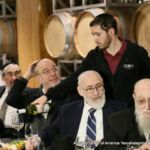 The inaugural Yarchei Kallah lasted three days and drew upwards of 40 people, but as word spread of the incredible opportunity to delve deeply into the waters of Torah in Eretz Yisroel’s unique environment, it has evolved dramatically, this year expanding into a five day event drawing well over 500 people of all ages and stages of life from the United States, Canada, Mexico, Europe and Israel. 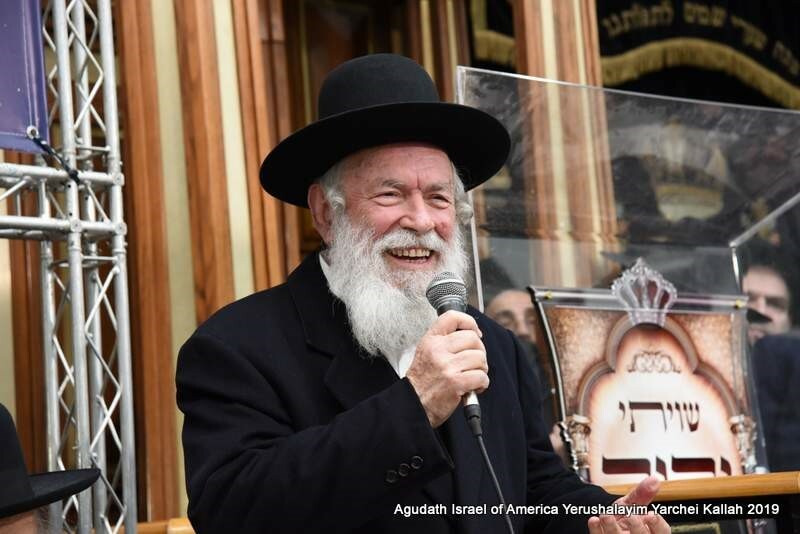 This year’s sugya d’kallah focuses on kashrus and forbidden foods, drawing on selected sections from Maseches Avodah Zarah which discuss yayin nesech and stam, pas akum, bishul akum, cholov yisroel and gevinas akum. 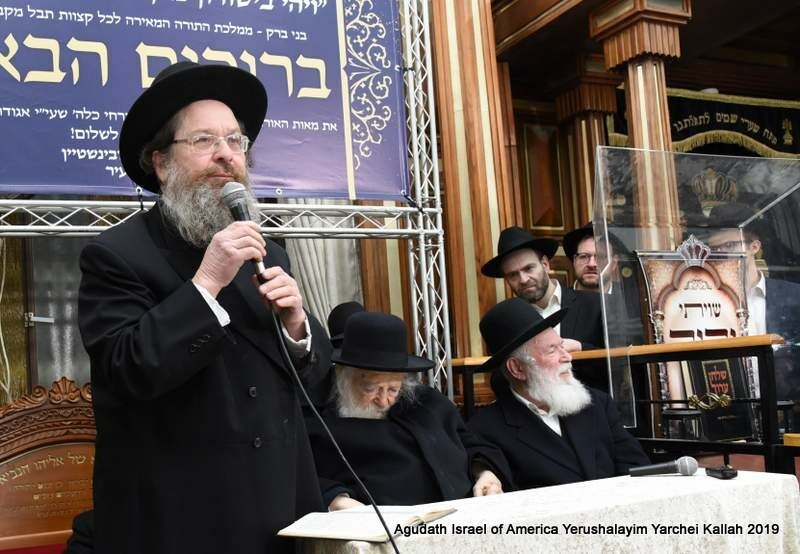 Participants began preparing themselves for the Yarchei Kallah weeks in advance, attending dozens of preparatory shiurim in the tri-state area, joining weekly teleconferences, and downloading audio recordings and a full gallery of marei mekomos from the Yarchei Kallah website. 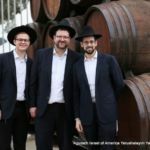 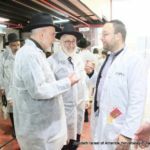 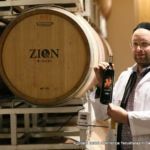 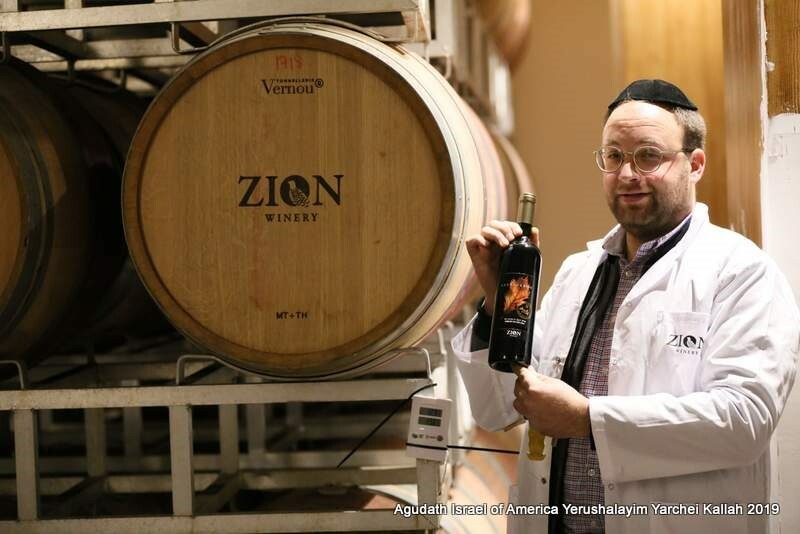 For the first time ever, the Yarchei Kallah included a full Sunday itinerary that began with a tour of the Yikvei Zion winery in Mishor Adumim. 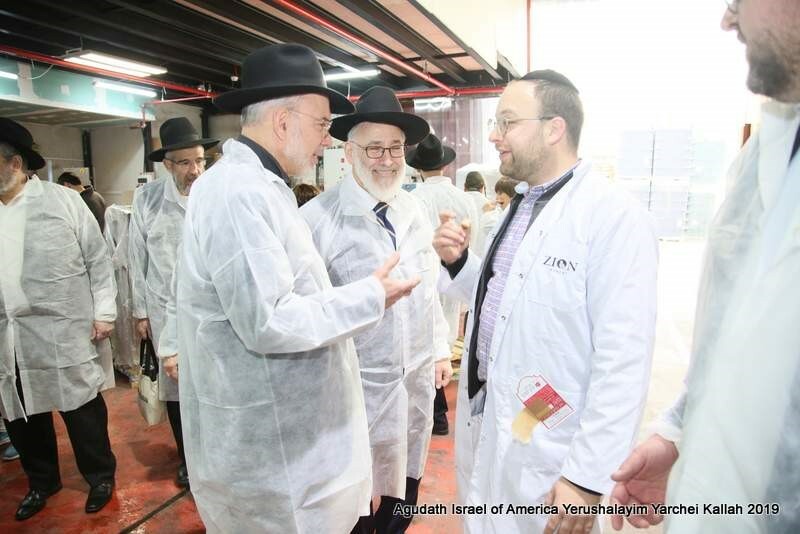 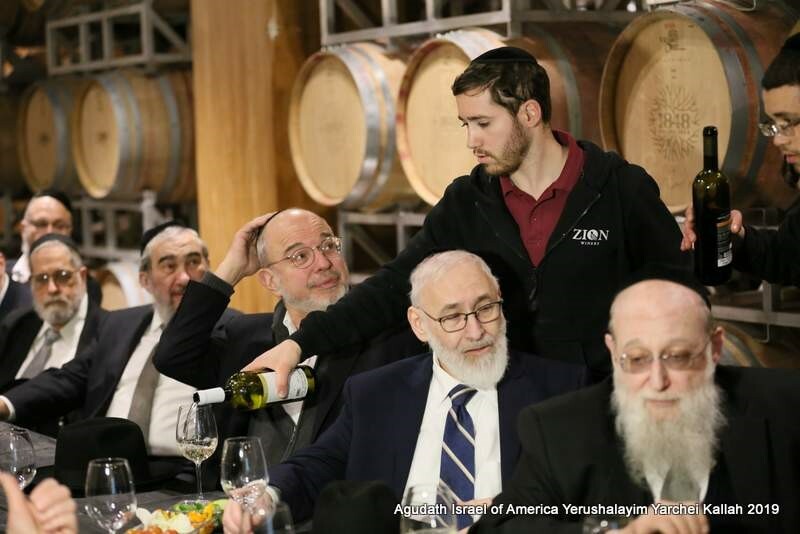 Participants enjoyed a firsthand look at the winemaking process, with special emphasis placed on the halachos of producing kosher wine, one of the topics included in the sugya d’kallah. 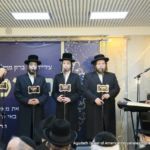 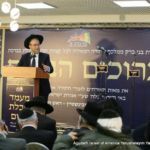 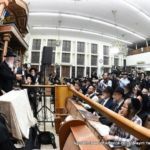 After davening Mincha and Maariv, the program continued with a massive reception at the Bais Yaakov Seminary’s Ohr Bracha Hall on Rechov Chazon Ish, hosted by the City of Bnei Brak. 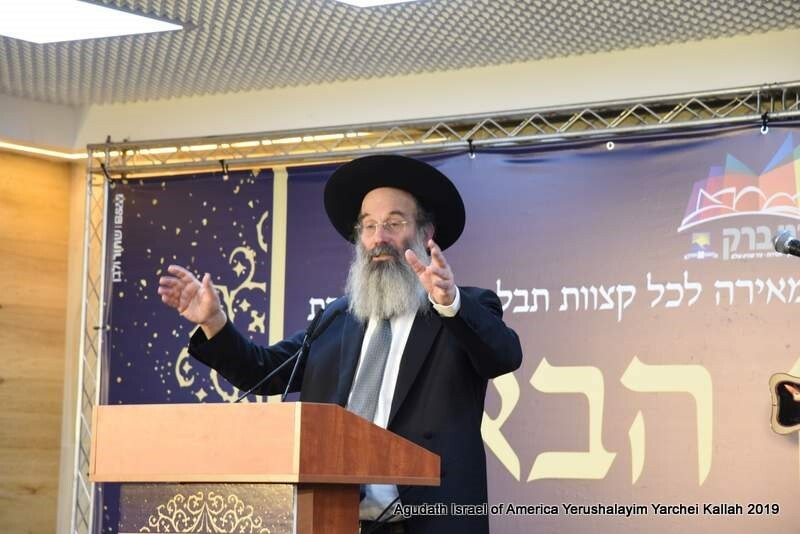 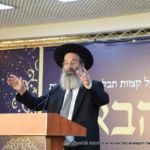 A welcome respite for those who had traveled from far to attend the Yarchei Kallah, the dinner was further enhanced by words of welcome from Rabbi Yitzchak Pindrus, former deputy mayor of Yerushalayim and former mayor of Beitar, who introduced Rabbi Avraham Rubinstein, mayor of Bnei Brak. 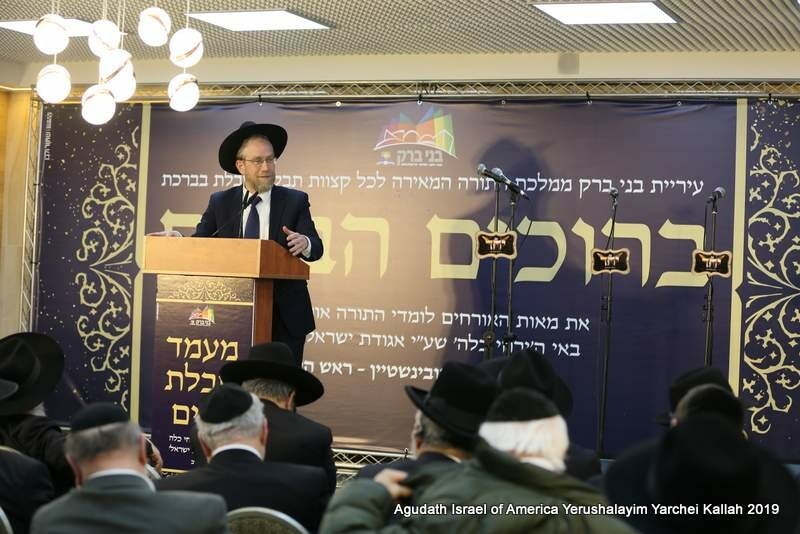 Rabbi Rubinstein spoke eloquently about the city’s phenomenal growth, a point further illustrated by a video highlighting the growth of Bnei Brak as an illustrious makom Torah and as a modern and updated center of technology. 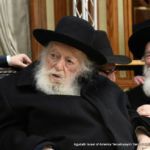 The next stop on the program was the renowned Lederman Shul where participants had the opportunity to be in the presence of HaRav Chaim Kanievksy. 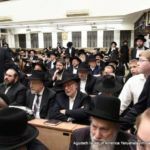 Many people left their seats to crowd around Rabbi Kanievsky, taking advantage of a rare opportunity to be near the Gadol Hador and to receive his brachos. 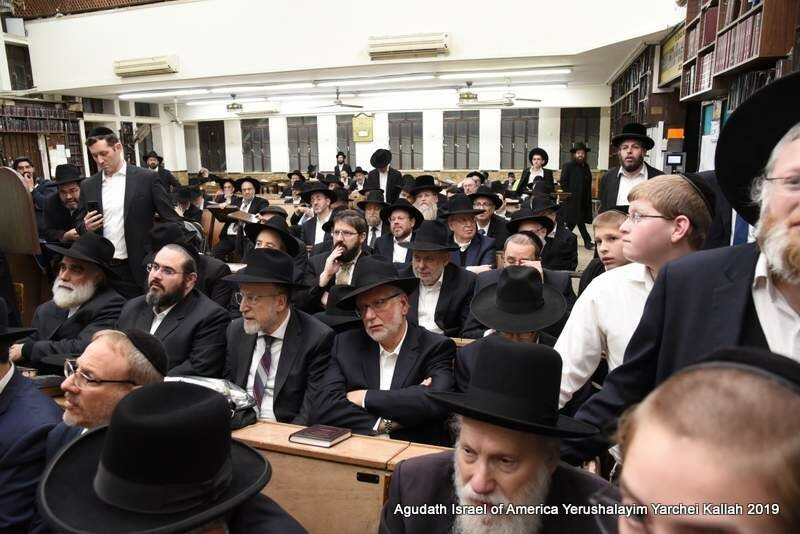 The group also had the privilege of hearing divrei bracha from HaRav Yitzchok Zilberstein, Rosh Kollel, Bais Dovid, Cholon and Rav, Ramat Elchanan, Bnei Brak, and Rabbi Eliyahu Mann, Rosh Yeshiva, Yeshivas Bais Hillel, who bentshed everyone in attendance with hatzlacha, both in their ruchnius and their gashmius, for coming to Eretz Yisroel to immerse themselves in Limud Torah. 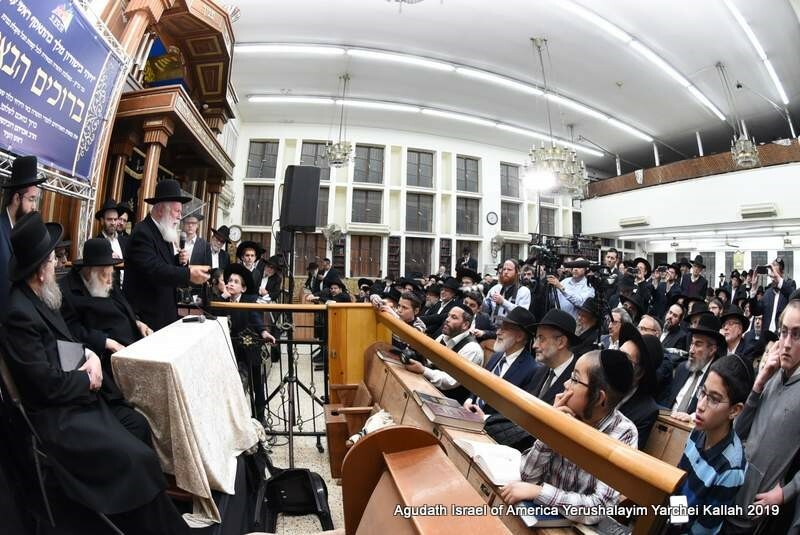 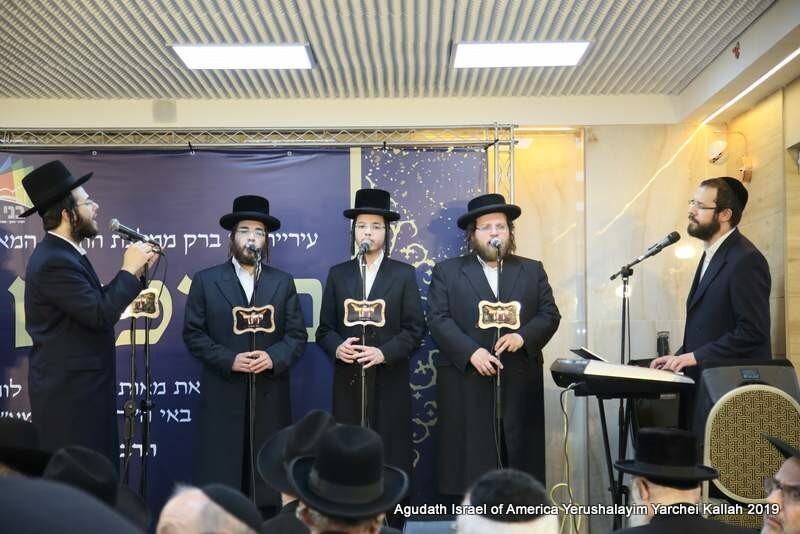 Setting another precedent for the Yarchei Kallah, the entire gathering at the Lederman Shul was livestreamed, giving over 1,000 viewers around the world a chance to participate from afar in this truly uplifting gathering. 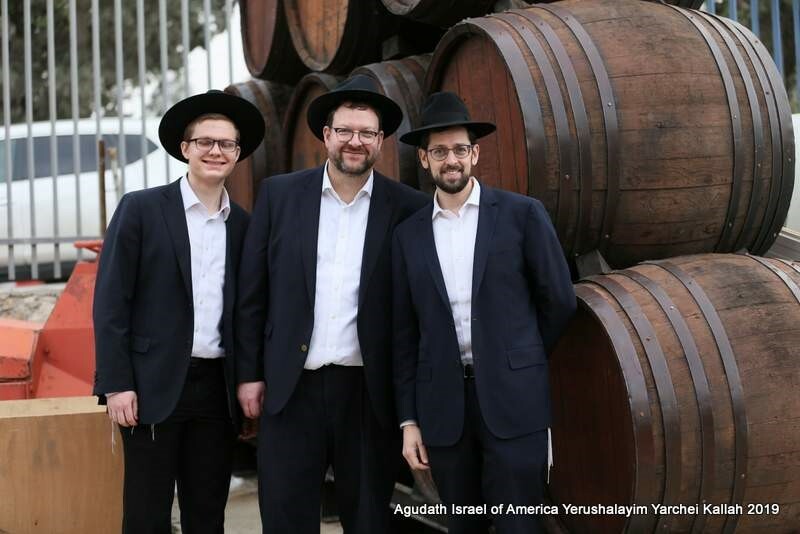 After a full day of events, the group was bussed to the their hotel in Yerushalayim, giving everyone an opportunity to recharge their internal batteries before the formal program kicks off on Monday morning. 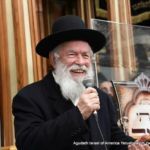 Rabbi Labish Becker, the Agudah’s executive director, described the day as an inspiring way to set the tone for the powerful Limud HaTorah about to unfold, noting that among the participants was a Rov whose baalei batim had gifted him with a trip to the Yarchei Kallah as a thank you for having guided them through all of Shas, and a man whose family sent him to the Yarchei Kallah in honor of his birthday.